GROHE Concetto kitchen tap – 360° swivel range for total kitchen convenience! 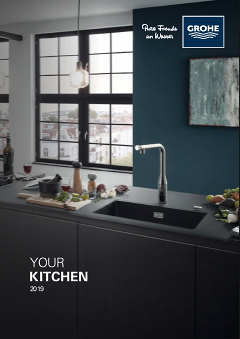 Enjoy all-round flexibility in the kitchen with this GROHE Concetto kitchen tap. Its high, arched spout with a pull-down spray head is very handy when rinsing big pots and pans or cleaning the basin, and its 360° swivel range gives you a bigger operating range in and around the basin. Crafted with GROHE SilkMove cartridge technology, the control of water flow and temperature is smooth and precise, and it has a gleaming GROHE StarLight chrome finish that will retain its pristine look even after years of use. Thanks to our easy installation system, you'll have it mounted in no time.